The last time you were on a live chat, did you get an immediate answer to your question, or were you asked to drop your email address so they can get back to you later? More than likely, you had to drop your email address. It’s annoying when you need an instant answer to your query but you can’t get it. It’s disappointing. You will either leave for other brands or send the email and expect a reply soon—which often takes more than 48 hours. How sad? Live chat is an awesome technology if implemented successfully, it can help you move your visitors to the bottom of the sales funnel faster—however, when enough attention is not given to your live chat, it could lead to customer dissatisfaction. According to Econsultancy, 79% of consumers say they prefer live chat functions because they don't have to wait on hold. They prefer to get their questions answered immediately. 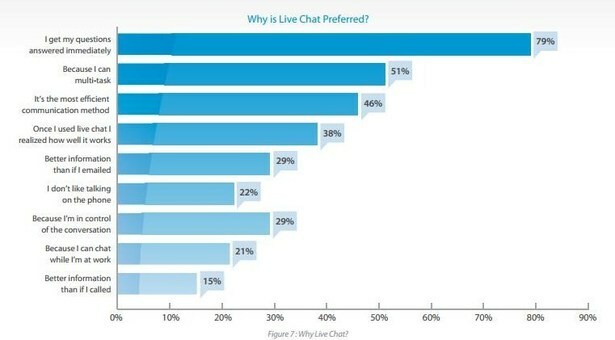 With that being said, is live chat giving customers that level of engagement and satisfaction yet? Do check this whitepaper to know more. I believe Chatbots were invented to bridge human limitations. “This will be the next generation of intelligence to be met in daily experience, sooner rather than later,” says Prof Björn Schuller, a computer scientist at Imperial College London. Although sophisticated Chatbots can be very responsive, they are still limited to what they can do. In fact, it can’t give more answers beyond what it’s taught to say—come on, it’s programming. 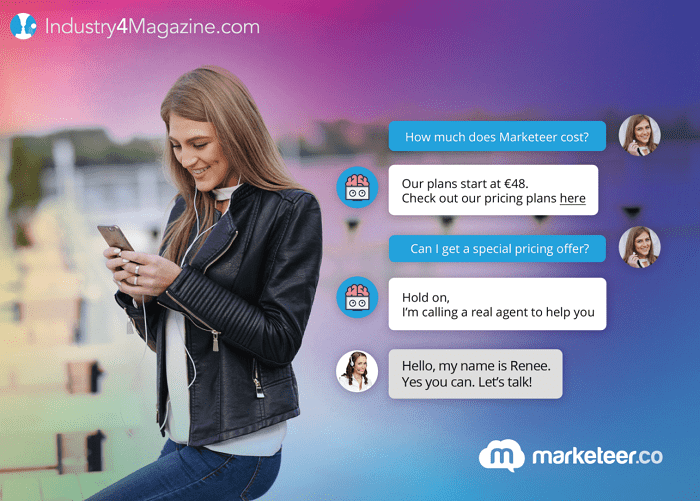 So, is live chat winning the customer service game over Chatbots? To fully understand it, we need to place the need of the customer alongside the ease of getting it before making a conclusion. More like a comparison. “In the long run, I think we will evolve in computing from a mobile-first to an AI-first world.” – Sundar Pichai, CEO of Google Inc.
One of the biggest benefits of Chatbots is the ability to chat for several hours without needing human help. Yes, an instructed Chatbot can consistently chat for several hours without help from a human—thus, it helps you to save time, money, and energy. For example, Acquire.io allows businesses to use their Chatbot feature on their websites to drive customer engagement—without the need for human intervention. And this is so vital because the time you would have spent on the PC answering questions, you can now use the same time to take care of other task and allow the bot to take care of your customer. More so, you could get sick and tired of answering the same question multiple times. Interestingly, bots can handle that with ease and never complain. A recent study shows that 80% of customer’s queries have been resolved by Chatbots without human supervision. If a human isn’t behind the live chat, it goes offline and users get frustrated when they send messages that will not be attended to. It hurts your customer experience. A Chatbot is an amazing piece of software. Imagine that you need to attend hundreds of customers at once and you’ve got just 1 live chat agent answering the questions. Well, even before the day runs out, the majority of your customers will not be attended to—you’ll end up frustrating them, and eventually, most of them will give up and switch to your competitor. 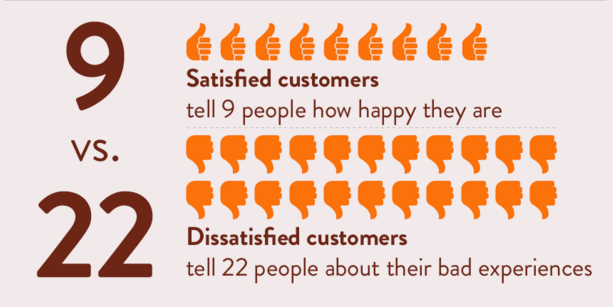 Remember that satisfied customers will tell 9 people while dissatisfied customers will tell about their bad experiences to 22 people. That said, with Chatbots, there’s no need to get more than one Chatbots. You just need to install once and you’re done. One Chatbot can attend to as many customers as possible at the same time. A Chatbot can improve customer experience. Customers get real-time solutions to their queries and this makes them happy as a result their experience will get better with Chatbots. In fact, customers want answers before they finish asking the question. Chatbots to a large extent will respond to these questions quickly. It’s hard to guarantee the same for live chats. A live chat agent could be attending to other customers and will most likely place you on hold. The response time will be delayed and will be determined by how many customers are in a queue, and the time the customer representative spends attending to each customer. Chatbots wins again. Since a Chatbot’s response is quick, the conversation will likely be more interactive. According to Gartner, Chatbots will power 85% of all customer service interactions by the year 2020. The average person will have more conversations with bots than with their spouse. It’s funny, though it may get true. Live chats are usually complex with two interfaces: one for the visitor, a chat box and the other for the admin—usually, cluttered with a lot of useful information and settings. If you ever have worked with live chat software, you will be familiar with this. To use the software, you might need to invest some money and time to train your team members on how to use the software effectively. However, with Chatbots, it’s a different ball game entirely. There’s basically one unified interface where customers chat with your bot and the bot responds. Do you have control over your bot to make it smarter? Sure you do. You can as well train and make your Chatbot smarter on the same interface. Do you know a customer service agent that can stay with a live chat software 24/7? Well, that is not humanly possible. This is another important feature of a Chatbot that beats live chat. A Chatbot can stay online for as long as possible—24/7, 365 days a year. Customers from around the world at any time can have a conversation with your bot and get instant responses. This feature makes Chatbots the best live chat tool so far. Truth is if your business is not available 24/7, you’re going to lose customers because customers expect you to be available always whenever they need support. If your business is available to your customers at all time, your customers will have the feeling that you care about them and will likely stick to your business. 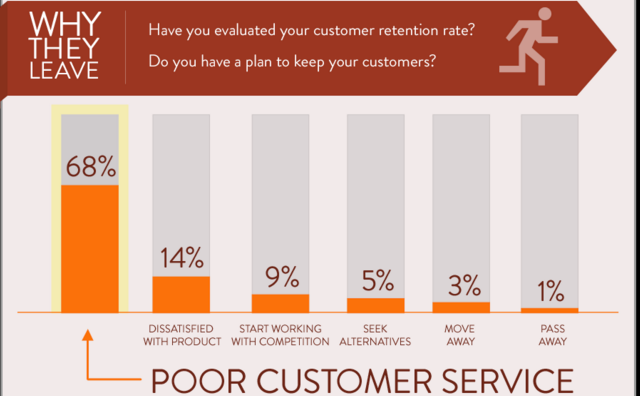 A recent study shows that 68% of customers leave businesses because of poor customer service. Assuming your company receives more than 1,000 customers a day, of course, one live chat agent can’t handle that number. You’ll need to employ a lot of customer service agents and also spend more money and time training them. But Chatbots are cheaper to acquire and installation is also a simple task. 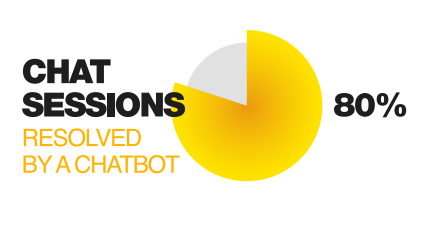 Interestingly, you only need to install one Chatbot that will serve your 1,000 customers effectively. The downside of AI Chatbot is that it’s a computerized program and doesn't have the ability to think outside the box. Only the information that has been pre-programmed into it will work. And in fact, the question needs to be in context, specific, and simple. The ability of a Chatbot to answer a question is limited. Moreover, you even need to spend some weeks or even months to train your Chatbots. On the flip side, a live chat agent can answer any question that pertains to their business. And can also add some other helpful advice to help your business. You miss this in a Chatbot. Chatting with a bot can be annoying sometimes. With Chatbots, customers can miss the contact they receive from a human. There are times you need a customer service agent to help you to resolve some issues that will help you with your buying decision. He purchased a T-shirt online, after the purchase he realized there were questions about the product he needed to ask. He quickly went back to the website and opened up a chat window. And boom, the Chatbot welcomed him and asked him how he was doing. But that was all it could offer in that situation. It couldn’t answer any more questions because they were personal and required a human agent to answer them. He didn’t know it was a Chatbot anyway in the first 15 minutes of not getting any reasonable answer. He left the chat immediately and called a real human being who helped him resolve the issue quickly. Read our latest whitepaper which explains how action based Chatbots can enhance your shopping experience. The chatbot couldn’t possibly understand what he was trying to explain. Chatbots are sensitive to spellings, once you make a spelling mistake, you will confuse the bot. But it’s not so with a real human behind a live chat. They can understand your questions even if the spellings are a bit off. Good news is, sophisticated Chatbots with AI capabilities are leading the game now, and are trying to beat the current shortcoming of the earlier Chatbots. For example, some live chats will call a real person to answer a question it doesn’t know about. While Chatbots are winning the game, they can’t replace a human customer agent completely. They are only there to assist humans to complete their task faster, save time, and money. Having a live chat is great especially if you have the resources to handle it. However, looking at the potential of Chatbots powered by AI, the future of Chatbots seems bright. However, they are not here to replace human beings (at least not anytime soon) but to help us save money, time, and energy. Have a look at this whitepaper for more information.